Traditionally October has been a slow time for tourism in the Keys, but since its inception, Fantasy FestÂ® has continually boosted the economy by filling up hotel rooms and inundating local businesses, restaurants, and bars during this time period. The tremendous influx of visitors during the ten days of the festival sustains the local economy until the holiday season begins. Fantasy Fest is committed to extending the time that visitors stay by encouraging the creation of diverse events throughout the entire ten days. The opportunity to show off the imaginative and resourceful spirit that defines the Keys excites participants as well as the thousands that are drawn to the Keys. Frank Romano, a board member of the Tourist Development Association of Monroe County, Inc. (TDA), and a founding member of Fantasy Fest, gives us a personal introduction into the conception of Fantasy Fest. He shares the early vision of Joe Liszka, President of the TDA, giving us a glimpse of how this good-natured revelry came to be. "In 1978, on Halloween Day, Joe Liszka asked me to accompany him to the intersection of Front and Duval Streets. He asked me to look up Duval Street and tell him what I saw. "What was I supposed to see?" "No cars moving, no people walking, lots of store fronts boarded up because the retailers take their vacation in this slow season?" "How is the weather," he asked. "Well, it is a typical beautiful day in Paradise, warm, with bright sunshine." "That's what's wrong," he told me. " Here it is the most beautiful weather day of the season and the town is deserted. Workers are laid off. Business owners have a tough time paying their expenses. It is a disaster season for the Key West economy." "I understand", I replied, "but what can we do about it?" "We need a fest, a carnival, a celebration, something that will entice people to change our moribund season to one of great fun; a party that will bring many people to understand that this season is one of our best," he replied. Liszka's creative inspiration was the birth of Fantasy Fest. Now, Halloween is the busiest day of the year with thousands of people visiting our town. 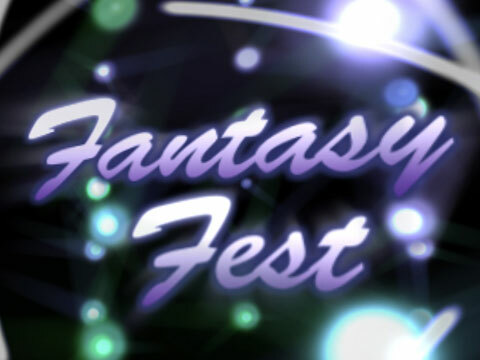 Fantasy Fest week produces the most revenue of any week in the year. A moribund season has become our best. Thank you, Joseph Liszka." Frank Romano Board Member The Tourist Development Association of Monroe County, Inc.